Two UAC, Monsoon still dull! The third monsoon spell that started around the PWP’s forecasted date on July 18 ended on July 21 without significant rainfall, the spell was helped by the passing western disturbance ’14’. On July 20, the second monsoon started in the central parts and lasted till 24 hours. The rainfall over the country has been extremely poor and the monsoon has failed to advance into much of Sindh even though the most crucial month of July is about is end. Temperatures have been normal to below normal in some southern parts, the mercury has been on the cooler side in the lower parts while upper parts has seen some daily high temperature due to absence of cooling winds in Afghanistan. *Fresh western wave ’15’ could affect the northern areas from July 24. *Monsoon moisture from the dissipated low pressure and fresh upper air cyclonic circulation over Uttar Pradesh could start fourth monsoon spell in northern areas. *Weather system would form in the Bay of Bengal on July 25/July 26. Last week of July could witness some active weather over many parts of India while another spell is also likely in Pakistan after fourth one. Drought: India rings the alaram bells! There has been 22% deficiency in the monsoon rainfall over India which has caused the Indian Prime Minister Manhoman Singh to swing into action as more than 70% India depends upon good monsoon season. The Indian meteorological Department (IMD) may further reduce the rainfall from 96% to 92%. It is worth noting that IMD has already dropped the rains from 98% to 96% in early July. If the department does so then it would be an embarrassing move as IMD is already being criticized at home for its failure to predict accurately. Such voices were also raised in 2009 when India plunged into drought, the worst since 1970s. Monsoon moisture would bring fresh rainfall to some parts of the country in the form of fourth spell. Pakistan Weather Portal (PWP) forecasted the fourth monsoon spell (third in central parts) hitting the northern parts of the country during the late last week of July and said on July 21 that this spell could start from July 24 night/July 25 and since then PWP has maintained the chance of that spell hitting the parts of the country to ‘extremely high’. The fourth monsoon spell would last till July 27 morning while some northern parts of Punjab could experience isolated heavy falls, overall the rain would be light with scattered moderate falls. The third spell in central parts could start from July 25/July 26 and would last till 12 to 24 hours, it would be weak in intensity. Meaningful rainfall over northern areas – Others dry! Islamabad is expected to receive it’s fourth monsoon showers of the year from July 24 night/July 25 that would last till July 27. The other northern cities that is Lahore, Rawalpindi, Peshawar, Abbottabad, Murree and other adjoining cities are also expected to get monsoon showers during the same period. The rain will be mostly moderate while there are chances of isolated heavy falls over northern Punjab and adjoining Azad Kashmir, area near Indian Kashmir. During the 24 hours, drizzle/isolated shower will occur over the extreme north-western parts of the country. Light showers with chances of scattered moderate falls are also expected in south Punjab including Multan during the same period. However rainfall here would be weak in intensity and would last till shorter period. Many areas would experience passing clouds. 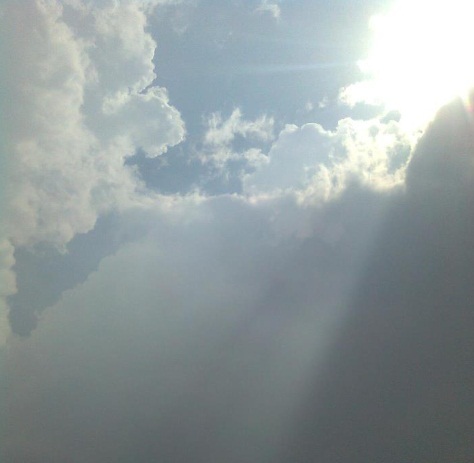 Mostly dry weather is expected in this part that is Sindh however there are some chances drizzle/isolated showers in Karachi, Thatta, Badin, Tharparkar, Umerkot, Mirpur Khas, Hyderabad, Sukkur, Nawabshah and few other adjoining cities due to the closeness of thunderclouds over Gujarat during last days of July. While another thundercloud formation could also take place near western Sindh that may bring some drizzle with fast winds to upper parts of Sindh till this week. Central parts of Sindh are likely to witness passing clouds. However this monsoon spell (fourth) would not affect southern parts. Karachi and Hyderabad have received 1 mm and 3 mm rainfall this monsoon respectively. Low level cloud cover over Karachi and other cities of coastal Sindh would remain till second week of August. Every year more than 150 people die across the Sub-continent due to floods, heat waves or cyclones. Surprisingly this monsoon only five people have died in the country as compared to the last year’s 42 deaths till July 24 that started from June 25. Fifth monsoon spell and future! On July 23, PWP forecasted another spell in the upper parts of the country during the early first week of August. Hence PWP forecasts the chance of the fifth spell hitting the country to ‘poor’ at the moment, it would be upgraded soon. PWP maintains the chance of ”third” monsoon spell hitting Sindh during the last days of July to ‘extremely poor’ at the moment. Thunderclouds would move from the Bay of Bengal to central parts of India till first week of August that would bring some good showers however there is a distinct possibility of a thundercloud crossing into south-eastern Sindh during the last days of July. ← Pakistan Weather Portal (PWP) wishes Ramadan Mubarak! what about lower sindh is there is any chance of rain in last week of july and starting of august is there some good news? Written in southern Region section..
which part in sindh in lower… eatern or central ?? Mentioned about Sindh forecast in the ‘southern region’.. The main cities are Mirpur Khas, Badin, Umer Kot, Tharparkar..
Good commentary over the weather developments. I find this site more useful than the official met office website: http://www.pmd.gov.pk. I wonder what made them forecast above normal rainfall during monsoon. Is it so difficult to predict monsoon rains or its the incapability of staff or unavailabiulity of equipment? Could be one of those reason..
when the monsoon rains start in southern sindh however half of the monsoon season is finish and barish ki koi predication he ya nhe pak met dep wale btate to hen lekin wesa hota nhe he so plz ap bataen. There are very slim chances during last days of July/early August..
India can be said the real home of Monsoon. Every time from June to September, we can see atleast 50% of India covered by stormy monsoon clouds. Pakistan is the last corner of these monsoon currents. Our mostly heavy rains are only due to low pressure or depression raising from Bay of bangal /Indian ocean. unfortunately, not even a single low developed this year, which reach Pak. 18-years ago in 1994, year was so lush for Karachi. This year remained in my childhood memories. In June 1994, some spotty showers occur in city. In last 10days of June, winds started turning as ESE…28,29.30.premonsoon rains started falling different parts of city. A strong depression moved from India to Karachi, n continue heavy rains Hit city from early July till 22nd.July. 1st heavy thundery cloud burst occur on 4th July, 1994 night. roads flooded. many people killed that night(this was Headline news in Pak print media). This year continue back to back deep depressions started moving from BOB to Sindh. this year rains continued till August end in Karachi. Punjab mostly remained dry in that year. . Especially to mention here. I have never seen “shape of stormy rain” after 1994, which looked like that black shadow(lines) falling from clouds…after that many rains occur in next years but that face of rains were not seen after 1994. Nice memory 🙂 True it was the best year for Karachi, though 2007 and 2010 came close. Due to certain atmospheric changes, monsoon would be weak.. obviously cant tell about how much rain would fall in Sindh..
thanks. your blog is very interesting. & you are very close to accuracy. Good thing is that, you very detailed accurately defines the sindh n Karachi weather scenario. Now, people are well aware that PMD predictions are going not fully accurate , as their major focus is on upper side, watch the effects of monsoon on punjab n kpk. However, this was very clear for open eyes, that pre-monsoon was very close to south.east sindh in mid of June, but was not reflected by PMD. You gave the accurate & latest facts in June……You are just excellent !. Keep it up. Very good reminder of 1994. I thought i am the only one who remember that amazing year of 1994. Its started from 28-Jun and ending to 07-Sep with Unforgettable thunderstorms. i still remember beautiful dark rainy days. Yes you are right we have few good years after 1994 like 2003,2006,2007,2010,2011. but no match for 1994. 2007 and 2010 were good for Karachi but in upper punjab there havent been enough frequent monsoon rains as they used to be 10 to 12 years ago. The intensity, consistency and frequency of rains is missing. even the aandhi which used to come frequently in may and june in upper punjab decreased atleast by 60% . According to the residents here 15 years back every other day there used to be aandhis’ but now it would not be wrong to say that aandhi season is perishing here. For winter rains 15 years back, i remember, there was a common notion that prevailed here that it will rain on 25th december at whatever cost and i used to witness that every year, then later on the rains in december perished but now from 6 to 8 yrs even the clouds disappeared and december is mostly sunny here with no rains at all. it is said there used to be good rains here in end of nov,dec and jan some good 15 yrs ago which lasted continuously for days that it was even difficult to dry up the clothes. but now nov and dec are completely dry whereas jan is wet mostly after 15. Now all these stories sound a myth. Dear sir, what is happening with the weather here or either i am wrong. you obviously know better than most of us but these observations are true to some extent. dont you think that overall our country is heading towards drier side, slowly towards some serious drought. Do you see any such threat in near or distant future ??? I am well aware about the andhi stories from south Punjab 🙂 if we look at the past records, we come to know that there are years of heavy rains in the country while some years are dry (droughts do occur), this is normal. What ever Pakistan goes through in future years, there are years in the past that matches it. However yes there have been some changes in the dynamics of winter and monsoon. The most common example is the rapid formation of strong cyclones in Arabian sea. Karachi weather can be said as amazing. We use to see millions of patchy clouds moving fast from the end of May to mid. September with sea.breeze, but these are mostly shadow/relief clouds. Here we have almost no effect of western systems. The major portion of Karachi annual rainfall is just due to Monsoon low over indian gujarat or the cyclone in Arabian sea/indian ocean. ..The Most enjoying days were in June 2010, when cyclone phet caused heavy rain of 150mm.plus in just 1 day & day temperature fall down below 30c n was so much Cool. moment. I still prefer cyclone Yemyin over TC Phet as Yemyin stayed for much longer and had more influence over the city than Phet which stayed for just 24 36 hours. Babar bhai lagta hai Mirpurkhas city m is year koi heavy rains k chances nhi??? 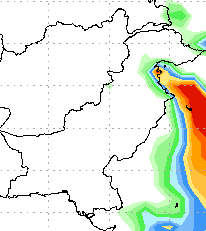 Without any strong low there wont be any heavy rain in any part of Sindh.. So guys you are remembering past rainy days its all because 2012 monsoon failure in sindh! Maybe 10 years record but it would be published on some day of August..
pichle saal bhi suddenly august k wast me shuroo hue thi kafi tabahai hue thi sindh is saal to aisa koi chance hay kia??? Unlikely that 2011 rains would repeat..
august ki 10 date tak kisi heavy or normal rain ke chances hen kiya hyderabad me? There are chances indeed though the rain would be mostly light..
Sir Gujrat (india) is facing a drought this year . There is no system developing in either Bay of Bengal or Arabian Sea which can bring rains to the state and now experts are saying El Nino may influence the remaining part of the season. is that the reason Karachi and other parts of Sindh are also not getting any rainfall and if monsoon improves and Gujrat gets some significant rainfall in August can we then expect some good rainfall in karachi too ? Though the climate of Sindh and Gujarat are some how related. But not completly linked, a weather system should pass through Gujarat and enter Sindh to bring meaningful rainfall. In the past there has been such weather systems that bring above normal rainfall to Gujarat but die out before reaching Sindh e.g 2005.
is ramadan ke month me rains ki kya position rahe gi? a weather system should pass through Gujarat and enter Sindh to bring meaningful rainfall. In the past there has been such weather systems that bring above normal rainfall to Gujarat but die out before reaching Sindh e.g 2005.
baber bhai ramazan me rains ki position kesi hogi? Indeed Karachi has a very peaceful weather even in the winters stay calm. Syed Ahsan – Ishaque: Walikum assalam..There are slim chance during the coming week..however drizzle could occur during these days. Assalam o Alaikum! Sir are there any significant rains predicted in Gujranwala within a week ? me ne to satelite image dekhi us me to gujrat or rajasthan me kaafi heavy clouds hen so why these clouds not enter in sindh? Walikum Assalam. Fresh spell is starting from the coming week, tonight there are chances of light shower in the city as thunderclouds are nearby. This 5th spell in north punjab would be stronger than the 4th spell or weaker? Walikum Assalam, a good spell looks unlikey, however there are chances of spotty drizzle till 4 days in the form of third spell.. Since the westerlies are absent, so they could be weak but having said that there is a circulations over NW India as well. Therefore it would be comparable. Its 3rd spell, its very weak. There are chances mostly in eastern Sindh during this coming week. Monsoon ka month hona hi nahi chahye. i hate these months. barish hoti nahi ha oper se inteha ki garmi aur itna habs aur paseena k agr jama kren tow balti ki balti bhar jae bus naam ki monsoon hoti ha, 1 din barish phir poora hafta garmi aur habs. even pankhay mein b paseena and we cannot stand outside even at night its so sultry and sweaty outside. kash mein Karachi mein rehta hota atleast weather pleasant, normal aur stable hota ha. Garmi mein Gujranwala ya Lahore mein rehna azaab se kam nahi ha. BHAI KAB BARISH HO GI GUJRANWALA MEIN AUR KAB TAK YEH SYSTEM RHAY GA ? In Hyderabad? There are no chances of proper rain. Only drizzle/isolated shower due to the moisture coming from India. do you still think that El 1-nino phenomenon will continue till November, 2012 or is there any chance that Upper punjab would receive moderate rains during August. your site is too good, much better than http://www.pmd.gov.pk. Thank you Kashif 🙂 El-Nino is forecasted to continue till early 2013. There are chances of moderate showers during these coming days ( https://pakistanweatherportal.com/monsoon-of-pakistan/ ) Isolated heavy falls also occurred in north-eastern Punjab some days back.